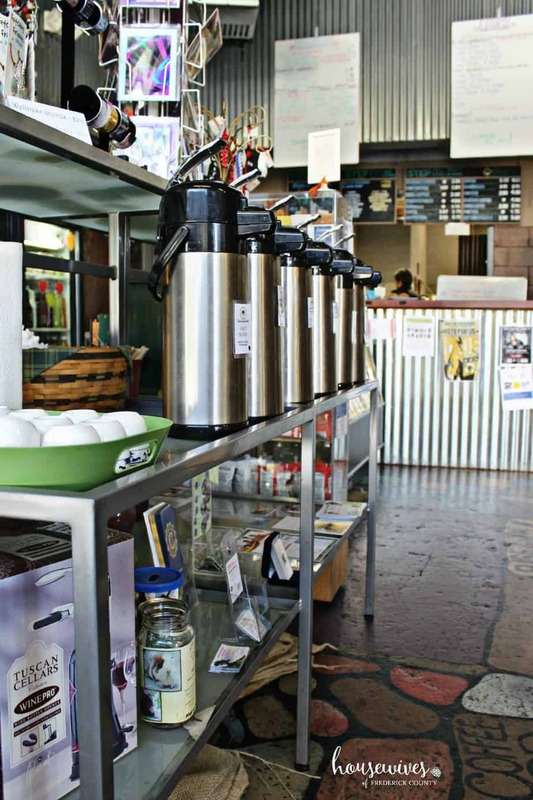 Local coffee shops have been super popular ever since the show, Friends aired back in the 90’s. Yeah, Starbucks became pretty popular back then too. But being a chain coffee place just doesn’t compare to a hometown local coffee shop. Way back in the day, when you drank coffee, you either made it at home in a Mr. Coffee or you bought it from 7-11 and drank it out of a styrofoam cup. 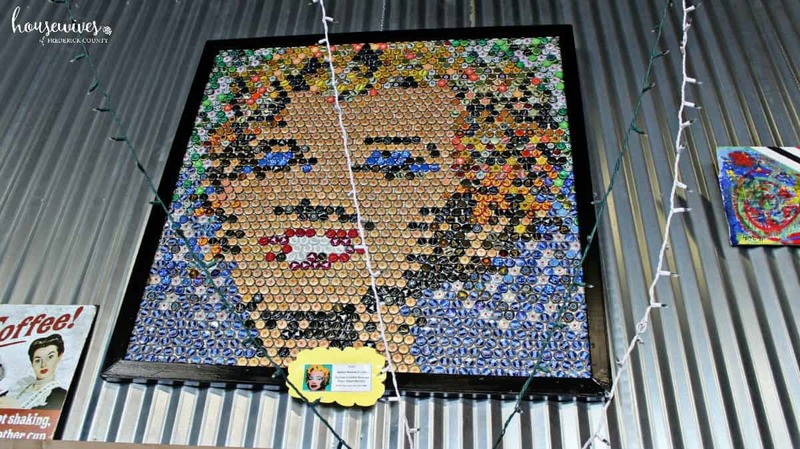 Coffee drinkers have totally raised the bar. A Caramel Macchiato, Skim, Venti, Extra Hot, Extra Shot, Extra Whip, Sugar-Free? Yes, it’s a thing at Starbucks. Chain coffee shops like Starbucks are okay for when you’re in a hurry and you only have time to swing by the drive-thru. You blast out your order and pay an exorbitant fee for some fancy-schmancy drink that used to just be called a cup of coffee and only cost a buck. But, if you want to get the entire Friends Show experience of enjoying a good cup of joe while relaxing with your buddies, you really should check out local coffee shops. 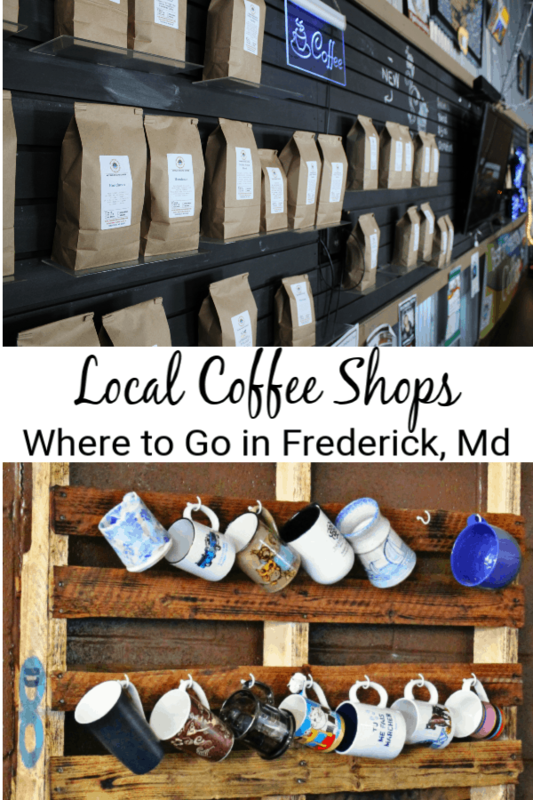 My absolute favorite local coffee shop in Frederick, MD is Dublin Roasters Coffee. 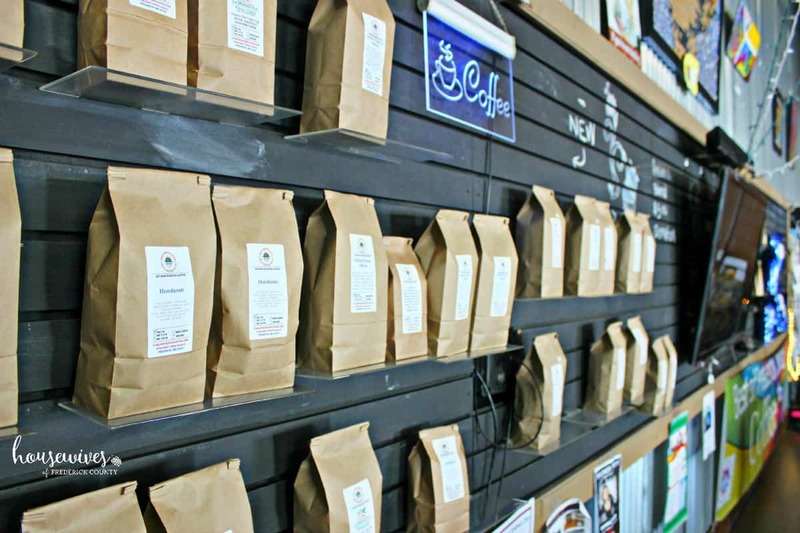 Dublin Roasters uses organic, fair trade, and specialty coffee beans that they hand-roast in small batches and per order. Then, they grind the coffee beans to make the freshest, tastiest cup of coffee you can imagine. 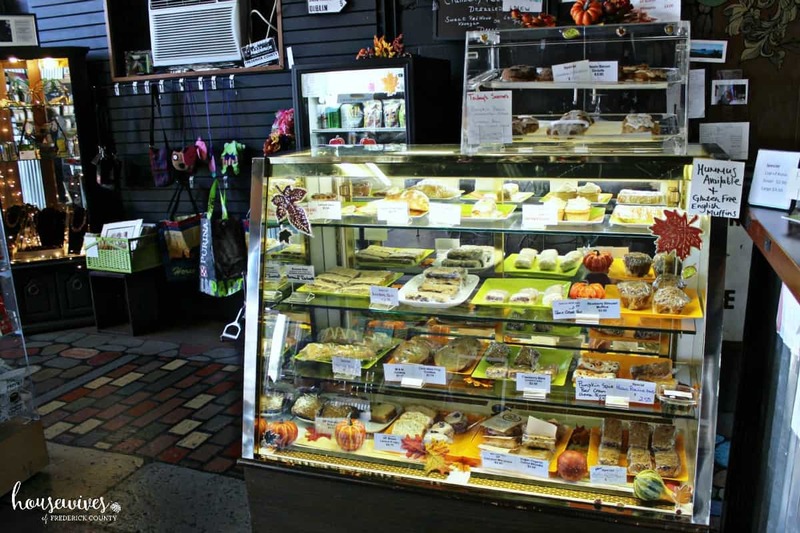 As a result, it’s no surprise that Dublin Roasters is a favorite go-to local coffee shop for so many returning customers. 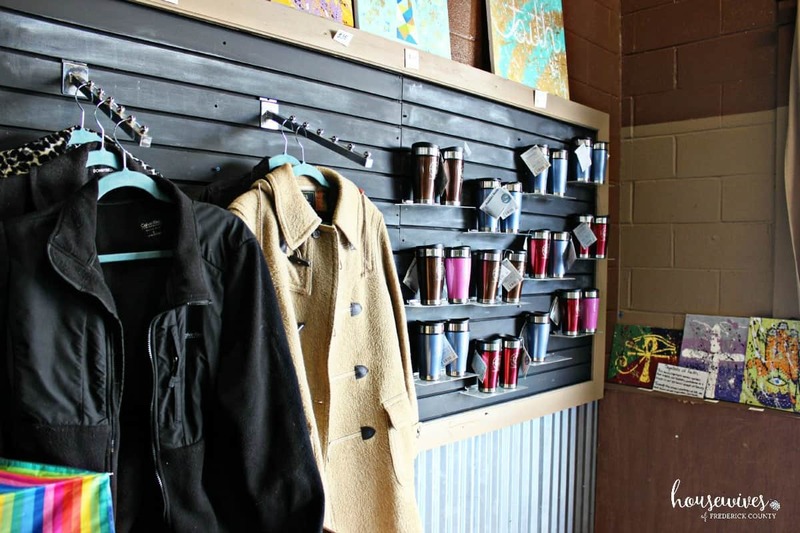 Dublin Roasters has local artisans’ wares displayed throughout their shop. 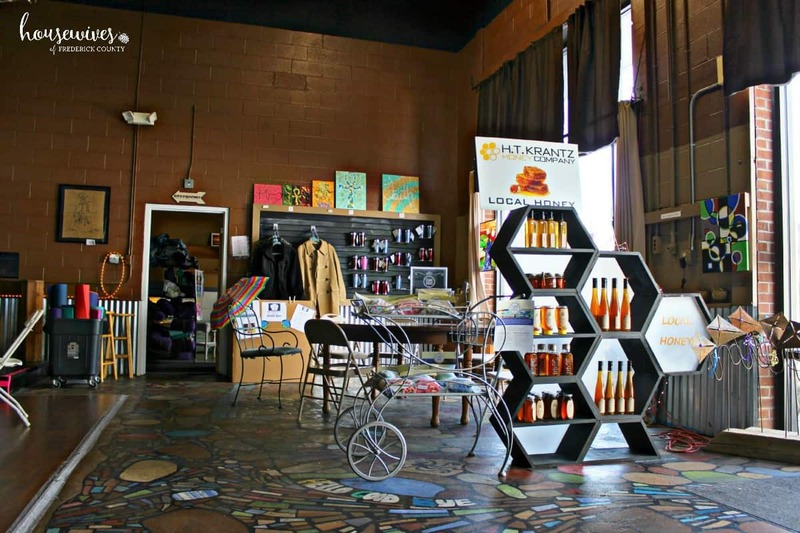 Proof of this, you’ll see jewelry, homegrown honey, paintings and purses as soon as you walk through the door. 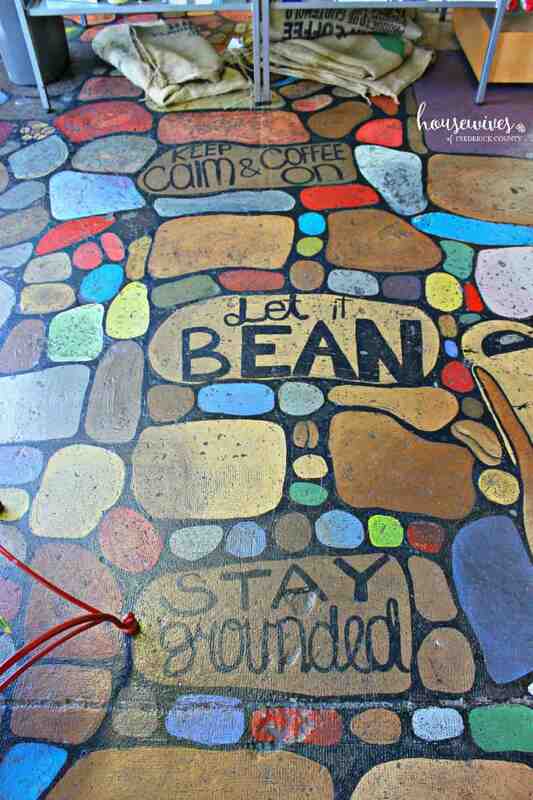 In addition, even the floors are painted by local artists. This is an example of ‘buy local’ at its finest. 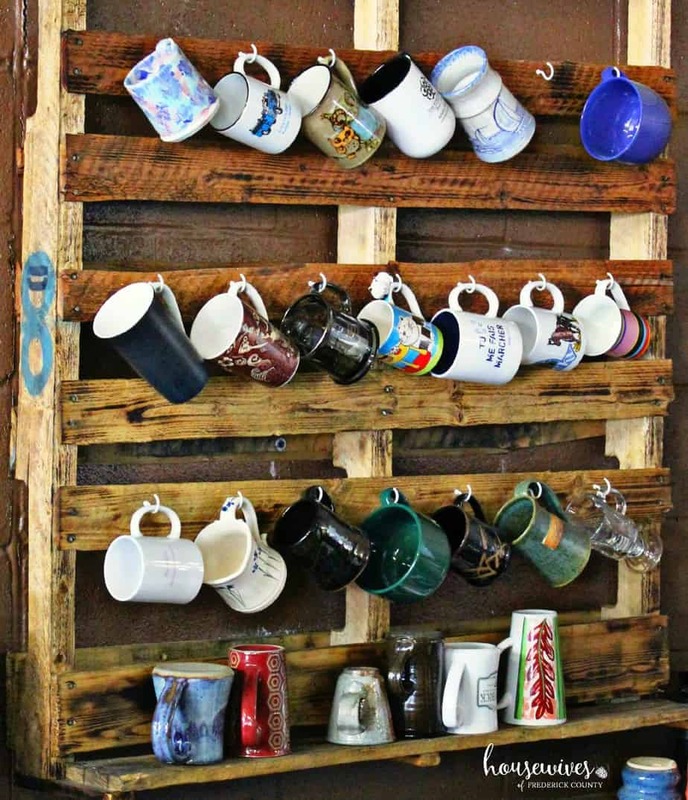 What Starbucks do you know of where customers are allowed to keep their favorite coffee mug hanging on the wall to use each day? Obviously, it’s a great way to reduce waste! 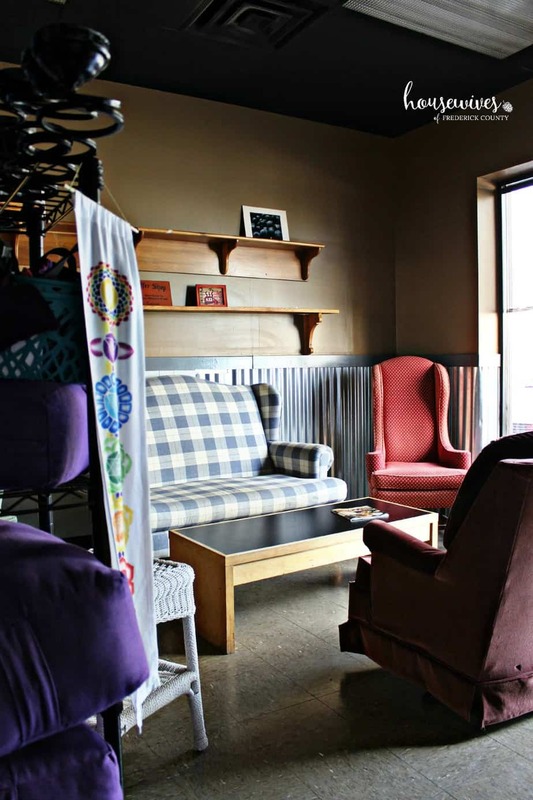 Dublin Roasters offers free Wi-Fi and they encourage you to get comfortable and hang out for as long as you want. Therefore, it isn’t unheard of to see people sitting there for hours, even for an entire day, working on their laptops, sipping on coffee, or meeting with friends. Terri and I were recently there to meet a friend who we hadn’t seen in a while. We laughed it up for hours without feeling any sense that we were wearing out our welcome. Dublin Roasters has a large coffee shop area with plenty of tables and chairs, a separate sitting room resembling a living room/office, and a small conference room for meetings. Dublin Roasters also supports several charities. For example, the coats in the above picture are for a coat drive in honor of Vince Coates, a beloved Fredericktonian, who had recently passed away. Also, they assist daily with Blessings in a Backpack, Little Long Ears Donkey Rescue, Sophie & Madigan’s Playground, Tails of Hope, Small Angels Rescue, Susan Bergers Ferrel Cat Rescue, Project 22, Military Suicide Prevention, Mission of Mercy, Heartly House, and The W House in Hagerstown. 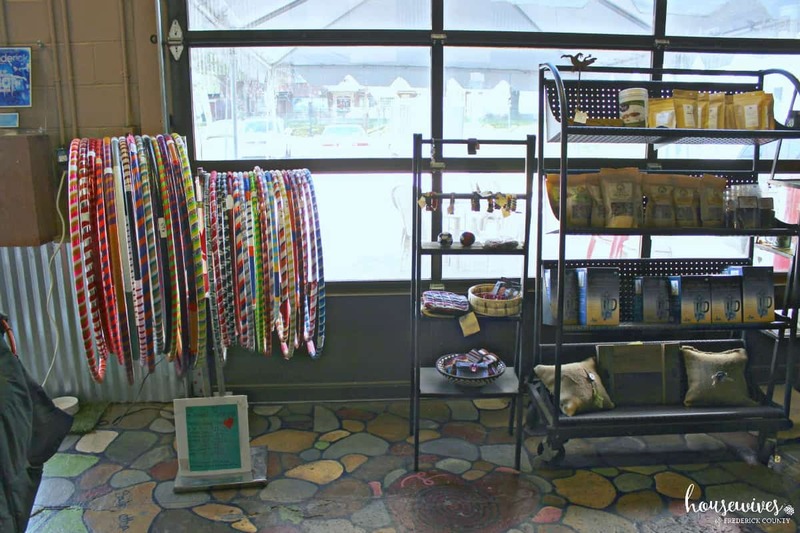 In addition, Dublin Roasters has many community related events such as yard sales, yoga nights, massages, concerts, book club meetings, and moms groups. They’ve even served up as an after-hours venue for a local TV production company to shoot scenes for a popular I.D. Channel series. Yup! 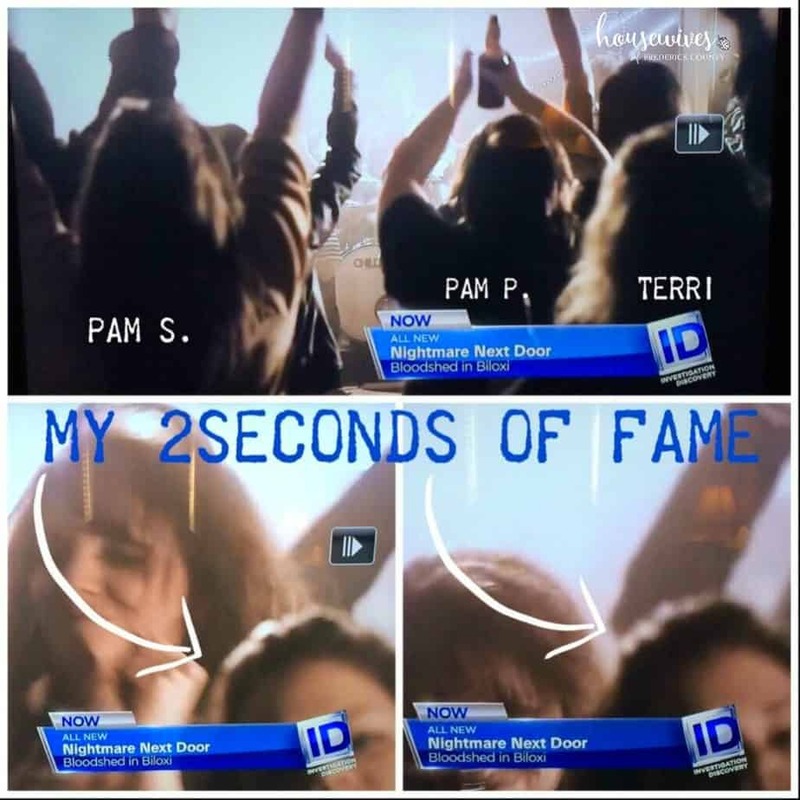 Terri and I participated in one of those scenes. See? It all comes full circle. 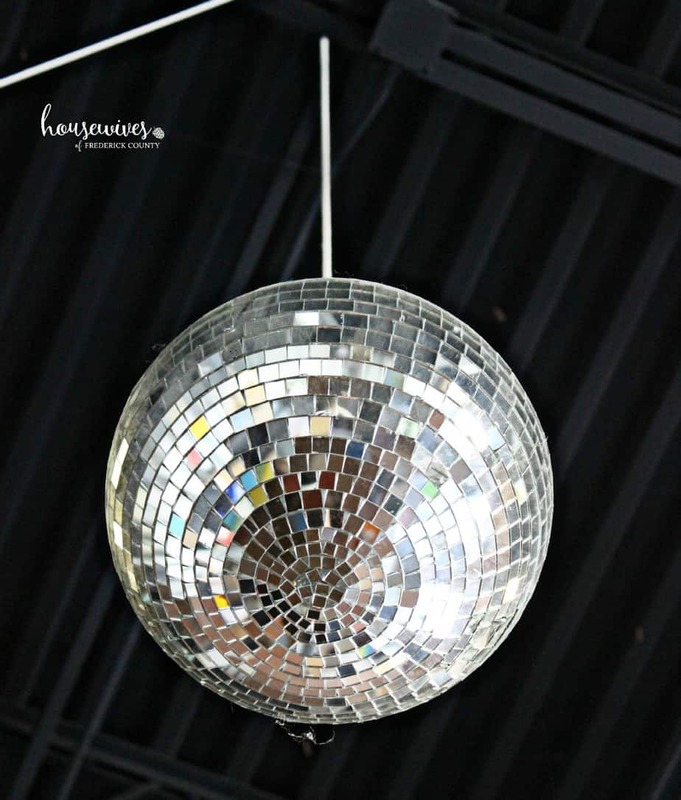 Seriously, who doesn’t love a disco ball? And it came in really handy when Terri, our friend Pam, and I were extras shooting our ‘dancing at a concert’ scene for the I.D. Channel’s ‘Nightmare Next Door’. The below picture is the screenshot of us in the “Bloodshed in Biloxi” scene we ‘acted out’ at Dublin Roasters. 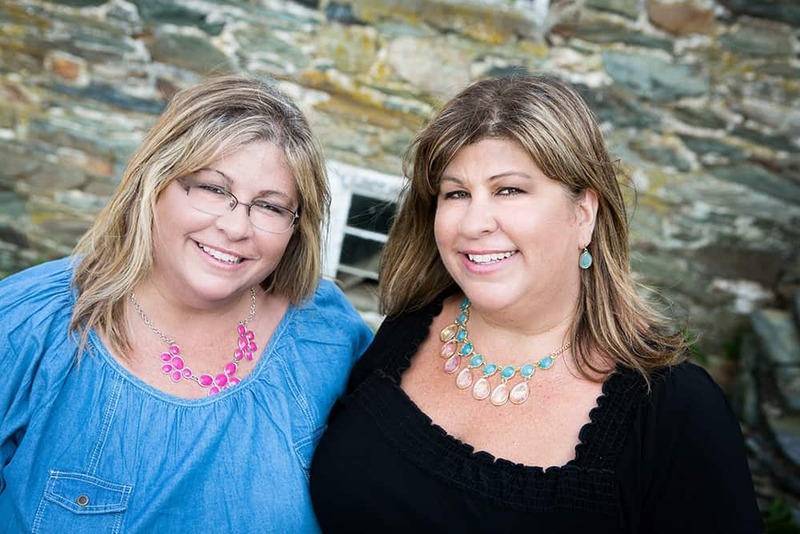 We didn’t play the starring roles in it like we did in Evil Twins, but we had so much fun! 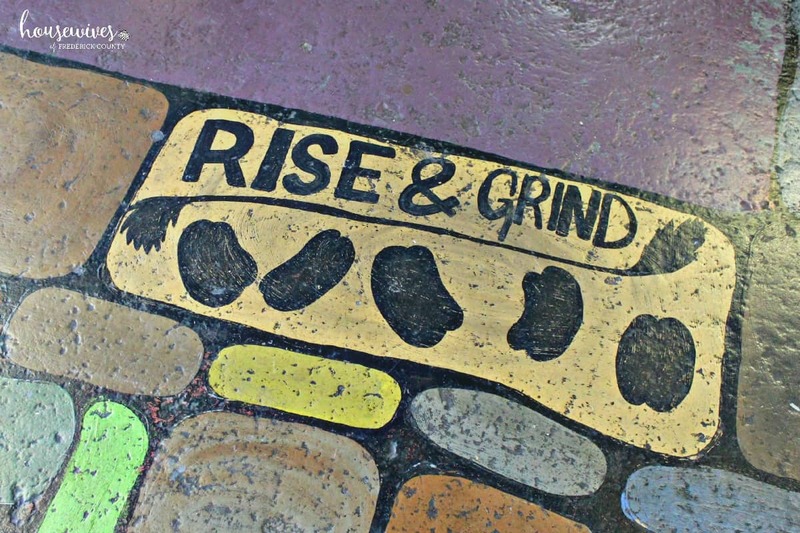 Dublin Roasters is owned and run by a former police officer (because, coffee!) who fell in love with the entire local coffee shop experience. It’s turned into so much more than just great coffee. It’s a friendly, neighborhood establishment, where, believe it or not, you walk in and they do know your name. 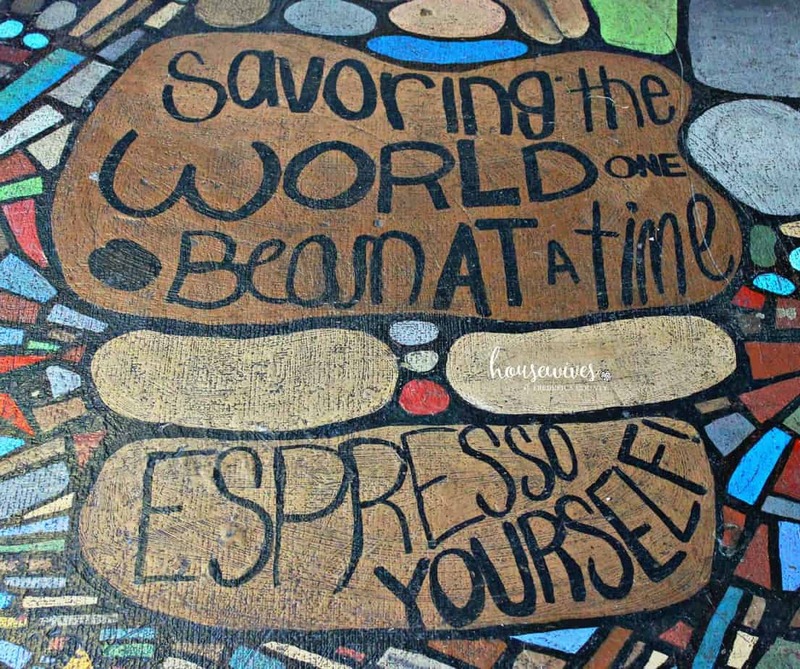 Do you have any favorite local coffee shops where you live? Tell us in the comments and let us know what things you love about it most. MEMORIES….That scene we taped was such a cool experience. Even if you only see the back of us and the top of my head. Love Dublin Roasters!! Will continue to go back. The coffe was awesome-sauce!! The company was too! I know! At least you got the top half of your face in it  So much fun! Let’s plan a get-together there again sometime soon. I was in Cumberland today and found a local one there. Always my preference over the national chains. True, Kim! All of them have their own distinct charm! !